The first Mimaki JFX500-2131 in the UK has been snapped up by Victory Signs, a diverse sign and display producer with an industrial edge. Based in Cramlington, Northumberland, the company has built a core of end users interested in its engraving, fascia, retail and specialist output, but sought to make its production more efficient – hence its decision to invest in the 2.1 x 3.1m grand-format UV-curable industrial flat-bed printer from Mimaki via Your Print Specialists (YPS). 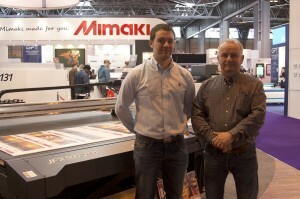 “We’ve been a Mimaki house for some time, and already own a 1.6m CJV30-160 and a UJF-3042,” explains Neil Wood, manager of familyrun Victory Signs. 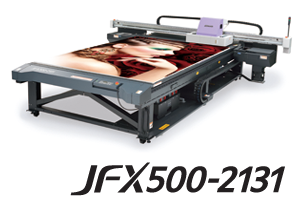 “Investing in the JFX500-2131 means we can keep production of larger display boards in house, and the ability to print direct to the media avoids transfer and other multiple-stage processes that can introduce liabilities. It’s a real step up for our business, and for what we’ll be able to do for our customers. “Influential in Victory Signs’s purchasing decision, the JFX500-2131 improves throughput by some 2.5 times compared with previous models and features both LED curing and specially-formulated LUS- 150 flexible ink to allow high-speed production onto a range of sensitive substrates. A maximum 60sq m/hour print speed when printing in four colours makes it a viable alternative production process to screen, while the imminent addition of white ink will give the functionality of over- and under-printing for high-value display applications and onto transparent media. Underpinning the JFX500-2131’s production abilities is an array of technology developments. Mimaki’s Intelligent Microstepping System helps to eliminate banding and enables the production of text sizes as small as two points – a capability that works in tandem with the minimum drop size of four picolitres to guarantee the exceptionally smooth graduation crucial to high-end display work. 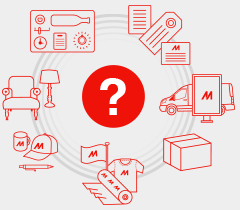 Multiple print passes can be easily programmed on a case-by-case basis using the Mimaki Advanced Pass System to eliminate any hint of banding. Service is an aspect of business appreciated particularly by Victory Signs. The 13-strong company, based in Cramlington, has built a large engraving footprint over the last 30 years since its incorporation, servicing sizeable military contracts for machinery parts and other, confidential industrial applications. 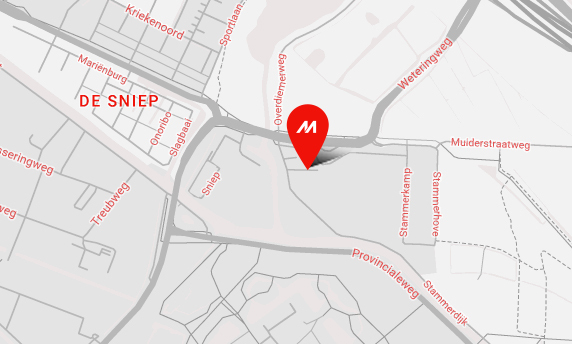 It will use the Mimaki JFX500-2131 to expand in two key business areas – shop fascias and confidential display work for local representatives of major multi-nationals – freeing up its CJV30 for the company’s fully unattended outdoor durable graphics work. Victory Signs (Newcastle) Ltd is an established company of 25 years based in Cramlington in the north east of England. Victory Signs has gained the reputation of being one of the leading engraving and sign manufacturers in the UK and has steadily built up a reputation for quality workmanship and expertise in all aspects of the engraving and sign manufacturing business. The company produces all types of signage and Engraving to an extremely high standard including Architectural Letters, Shop Fascia signs, LED signs, Banners, Site Boards, Large Format Digital Prints and Vehicle Livery. Victory Signs offers a complete sign design service from survey to installation.